While the fog of terrorist war clears, facts and a narrative will emerge in the days ahead, shedding light on how the terrorists planned and executed their crimes. The wider policy implications of the Paris attacks for Europe as a whole will take considerably more time to become visible. The short-term lends itself as easier to contextualize, while for the longer-term, strategic policy implications are often too far over the horizon to be able to discern them. However, two opposing policy challenges can already be identified that can affect European policy to the core, both within the individual member states, as well as on the level of the Union. One of these is the paramount security challenge that Europe urgently needs to tackle if it wants to retain a sense of civic normality. The other challenge is of a political nature: the inevitable ‘turn to the right’ of national political discourse, with its potentially detrimental effects on a Europe struggling from crisis to crisis. President Hollande declared the 13/11 Paris attacks an act of war by ISIL. Although differences of opinion exist on what exactly constitutes an act of war by a non-state actor, it is clear that the Paris attacks are a grave escalation that exposes the underlying security challenges that have plagued Europe since ISIS started to gain a foothold in Syria. Except for intelligence agencies and outside analysts, the mounting threat of Jihadist terrorism went largely unnoticed, or at best underestimated. In the months before the Paris attacks – even before the Charlie Hebdo attacks in January – security experts were warning that home-grown radicalized youngsters who went to fight for ISIL in Syria and Iraq formed an escalating security challenge due to its sheer number. From the onset of the Syrian civil war, Europe was the largest provider of foreign fighters to the conflict, after the Arab world. Although not all of these youngsters went to fight for ISIL, almost of all them joined extremist groups, of which there is no shortage on the battlefields of Syria (in the process largely discrediting the moderate opposition, which also exists). In June 2014, the Soufan Group estimated the total number of foreign fighters drawn to the Syrian conflict to be close to 12.000, with 2.500 coming from Western Europe. Amongst those countries, France estimated the number of French nationals who had joined at around 700. The Belgian government’s estimation was capped at 250 fighters, with 50 having returned. Moreover, Belgium had the dubious honor of being the number 1 recruiting spot in Europe – and still is – when the numbers are broken down per capita. In January 2015, at the sidelines of the Munich Security Conference, London-based ICSR concluded that the number of foreign fighters in Syria had risen dramatically, to around 20.000, almost doubling in the space of a few months. France had by now 1200 nationals fighting or returning, while Belgium was estimated to have 440 nationals roaming Syria. ICSR, followed in this by most security experts plus the United Nations, believed 10 to 30 percent of all foreign fighters would return, were returning, or had already returned. For France this meant that at least 120 battle-hardened Jihadists were already back on home-soil in early 2015; Belgium could be sure of at least 40 of these fighters. As security experts pointed out, most of them were still radicalized, importing the ISIS’ fight to European soil. A time bomb was in the making in various member states. The Soufan Group noted already in their June ’14 report that the time would come fast when the ability for intelligence services to monitor each and every individual Jihadist would reach a breaking-point. Looking back to the events of the past year, starting with Charlie Hebdo, through the thwarted Thalys-attack in August, up to the tragedy of 13/11, one has to conclude that at least the French and Belgian intelligence services had reached that breaking-point around the end of 2014. What makes all this truly worrisome is the cross-border nature of contemporary terrorist attacks. At least two of the terrorists that participated in the Paris attacks came from Belgium and were known to the national authorities. However, no mechanism was in place to share that information with their French counterparts. It is a telling clue to the heart of the problem: the absence of an integrated, European intelligence-sharing program that is effective, fast, and smart. 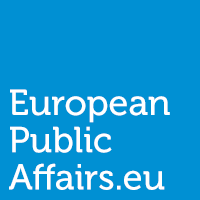 In most member states intelligence resources are by now stretched to the limit, with a lack of field agents to monitor suspects, a shortage of Arab-language experts – or sometimes as in the case of Belgium, no language experts – and all too often, a slow intelligence bureaucracy exists, not adapted to the needs of a Europe in crisis. There is an urgent challenge for Europe to agree on an intelligence architecture transcending the individual member states if it wants to avoid another large-scale attack. It could look for inspiration to the United States, where after the 9/11 attacks a complex intelligence architecture was created, build on inter-agency efficiency. Europe’s security challenge will become more pressing by the day as the number of returnees increases. Can the member states set aside their sovereign approach to national security? That answer will be shaped by the second challenge. For those, foremost amongst them Chancellor Angela Merkel, who tried this summer to convince a skeptic European public of the humanitarian need to take in Syrian refugees, the task has become formidable. By next spring the wounds of Paris will have healed, yet by estimates of the IOM and UNHCR the refugee flow is set to swell again to unmanageable proportions, triggering a new European crisis (and once again a crisis foretold). Chancellor Merkel saw her approval ratings take an unusual dip after the German electorate grew tired and even suspicious of the mass migration arriving from Europe’s periphery. The Balkans was again the scene of a shouting match between states and between their often right-wing politicians, with prime minister Victor Urban of Hungary taking the lead in a display of degrading treatment not worthy of European ideals. Aggravated by a complete inertia of the European institutions (who, indeed, still have to come up with a viable plan), electorates across the continent grew wary of the refugees. The little sympathy there was for their plight was disappearing fast. After the attacks in Paris, expect the electorate in all member states to swing more to the right, although now in the immediate aftermath calls for unity are still prevalent. In France, presidential candidate Nicholas Sarkozy together with the Front National will gain a stronger voice in the national debate. The ballot box could easily transform that into real power in the not so distant future. David Cameron’s crusade for a ‘better’ Europe ahead of his planned referendum on EU-membership will now focus even more on all possible opt-out’s for the U.K., certainly in immigration matters. The prime minister will need a convincing victory secured from Brussels in order to impress to his audience that staying with Europe has only benefits to bring. Although the so-called ‘European Project’ should always be able to be questioned and be put to a vote, this could hardly come at a worse time: Europe is already struggling to speak with one voice while pushing through unpopular decisions. A European-wide electorate that slowly yet certainly starts to swing ever more to the populist right will ultimately start to question the centralized working of the European Union. Increasingly, politicians will have to tend to a more hardened, skeptical electorate afraid of the unknown, ever more inward looking and at best lukewarm about decreasing state sovereignty. This political challenge was well underway before Paris. The attacks of 13/11 are sure to give this challenge an even stronger impetus. Indeed, by next summer it will be politically impossible for Angela Merkel to open Germany’s door again as wide open as this past summer. Expect also the refugee negotiations with Turkey to acquire a new degree of urgency – with the Commission’s reservations on its human rights record conveniently sidelined – while Frontex‘s mandate will be strengthened, and the EU’s maritime operations before the coast of Libya expanded. After what happened in Paris, the European Union is in for a perfect storm; while the security challenge grows every day more dangerous, the political power of the European Union will go through a centrifugal process fueled by populist discourse in the member states. While a ‘ever-closer union’ will be central to resolving the security challenge, the expected answer to the political challenge will be exactly the opposite. As such, the European Union could get into a perfect storm of its own making, battered by two powerful, contradicting forces. Where will it all lead to? It is too early to tell. The Syrian civil war still rages on with no end in sight, refugees across the Mediterranean still dream of a crossing to Europe, while terrorists are still planning attacks. The attacks of 13/11 will shape a large part Europe’s policy, its answers, and perhaps, in the end its own history. As the BBC World Service noted dryly in Paris: ‘People are gathering around national monuments. But will that be enough? A quick follow-up on the Belgian intelligence services: the Standard reported on 16/11 that there was an accute shortage of Arab-speaking specialists – indeed a limited number is already working in those services, yet there is an urgent need for extra linguistic resources, according to the Belgian daily. Europe is work in progress, and if instead of figuring out a common security policy that actually works, we revert the freedom of movement progress made so far, then the terrorists have won. Indeed, I absolutely agree: Europe will have to find a balance between its achievements and its challenges, without reneging on its very own foundations.